Beautiful, feminine, adjustable and hypoallergenic! 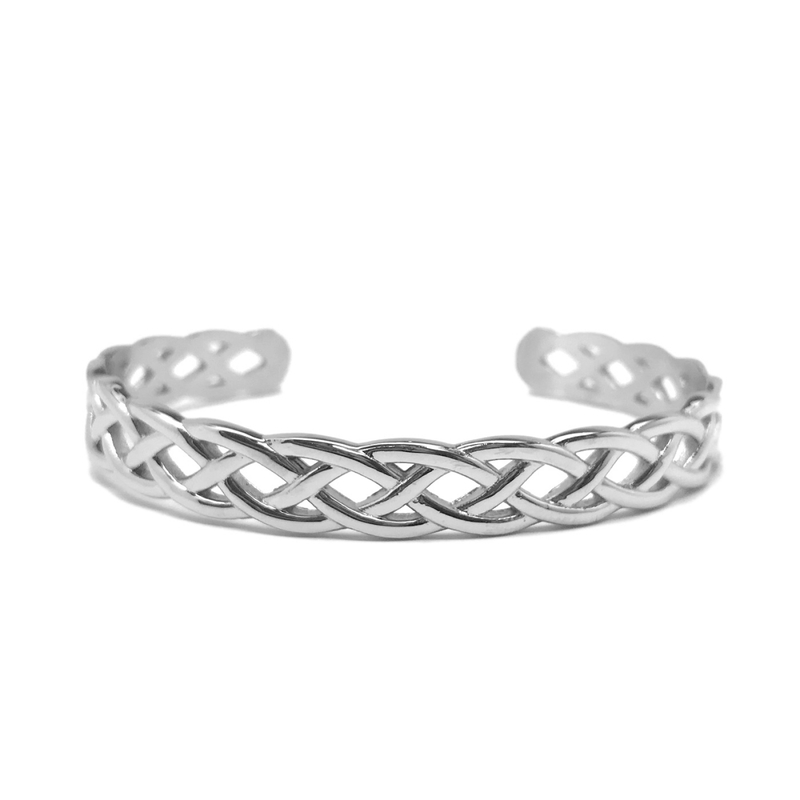 The braid design is timeless making it a wonderful gift idea for any woman in your life. Perfect for bridesmaids, girlfriends, your mom, daughter, grandmother, sister, etc. 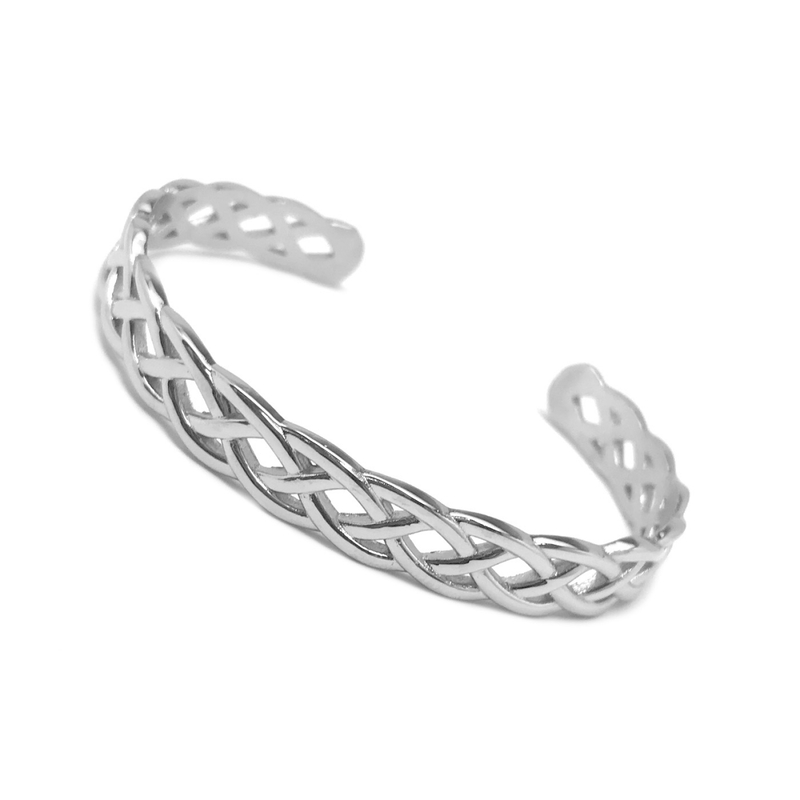 This polished mirror finish stainless steel thin cuff bracelet features a simple yet stunning infinity braid design. The band measures a little over 1/4 of an inch in width and is easily adjustable by pulling or pushing together the ends. 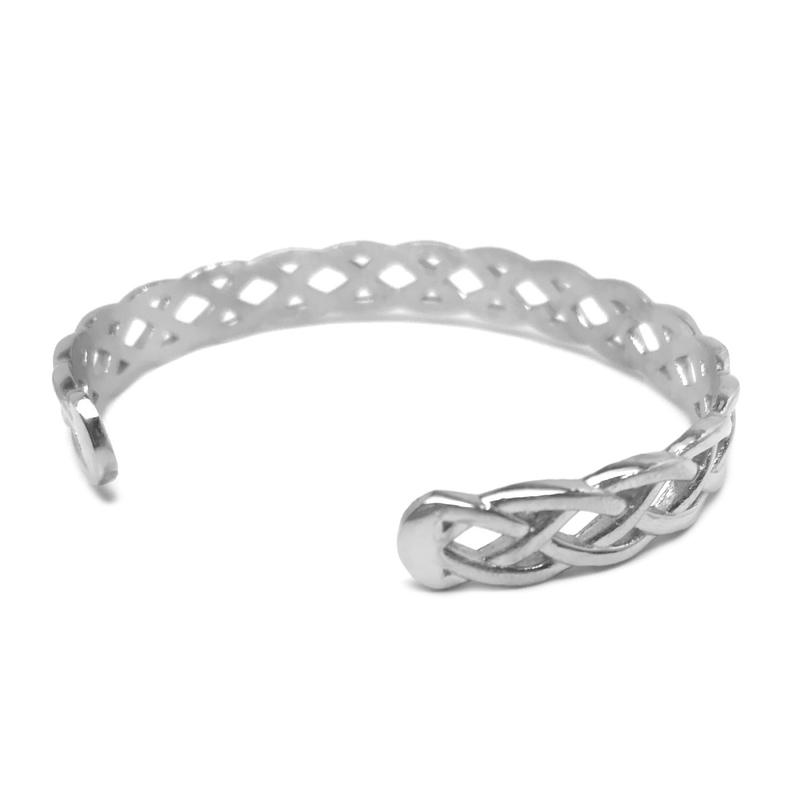 At its smallest, the bracelet can accomodate a 6 inch wrist and can go as large as you need. Great for large wrists or when you don't know what size to get. 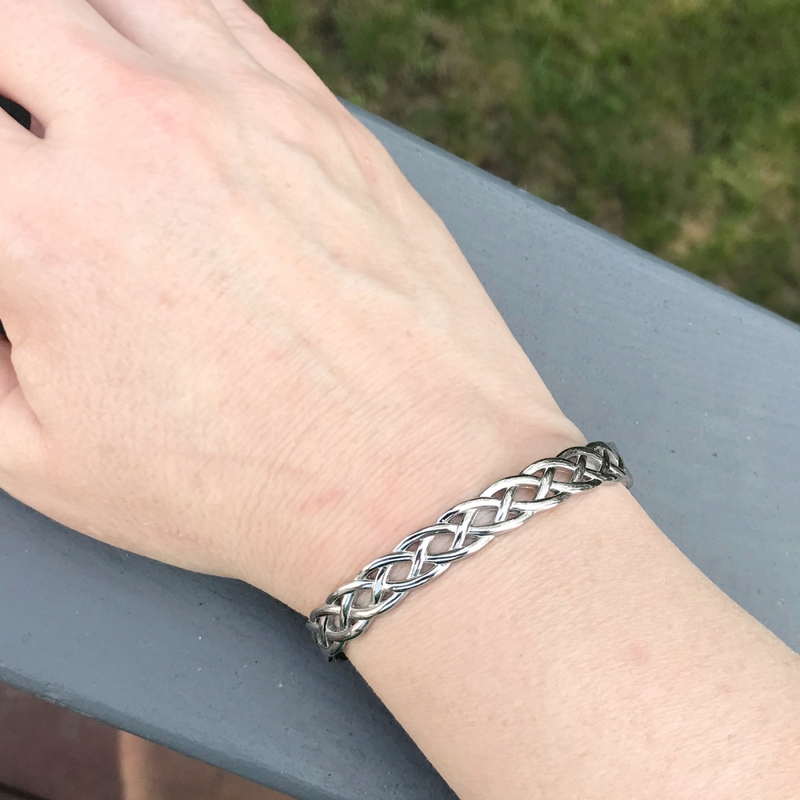 This bracelet is beautiful worn alone or can easily be layered or stacked with other bracelets to create more dramatic looks.